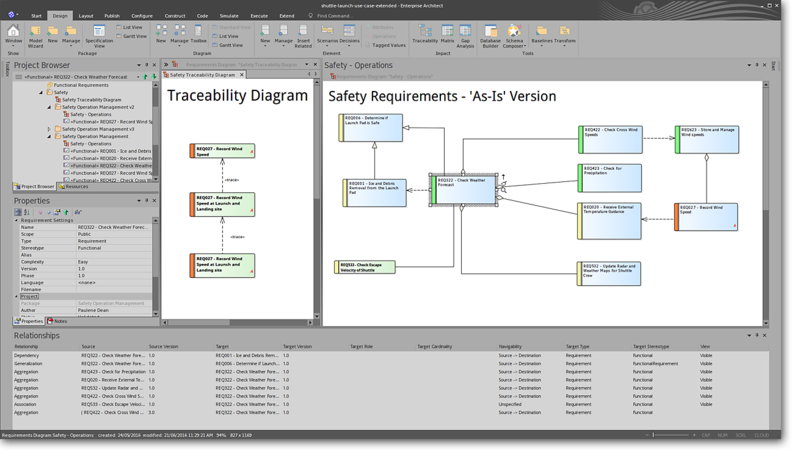 With built-in requirements management capabilities, Enterprise Architect helps you trace high-level specifications to analysis, design, implementation, test and maintenance models using UML, SysML, BPMN and other open standards. 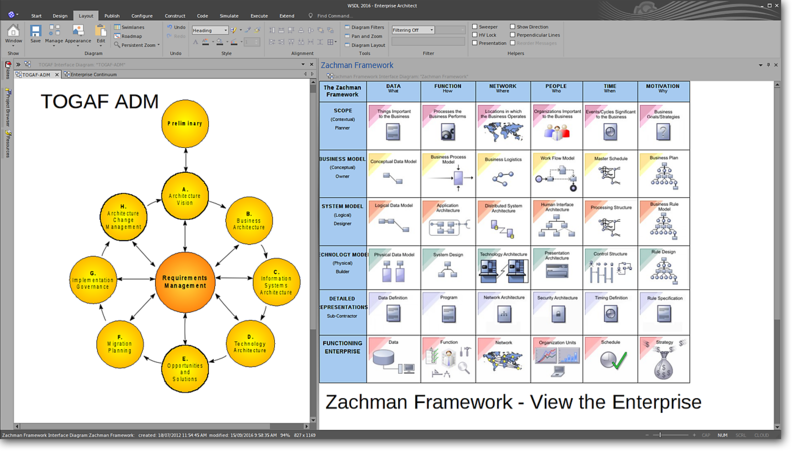 Enterprise Architect is a multi-user, graphical tool designed to help your teams build robust and maintainable systems. And using high quality, built-in reporting and documentation, you can deliver a truly shared vision easily and accurately! Fast! Enterprise Architect users agree – Enterprise Architect is a spectacularly fast performer, loading extremely large models in seconds. 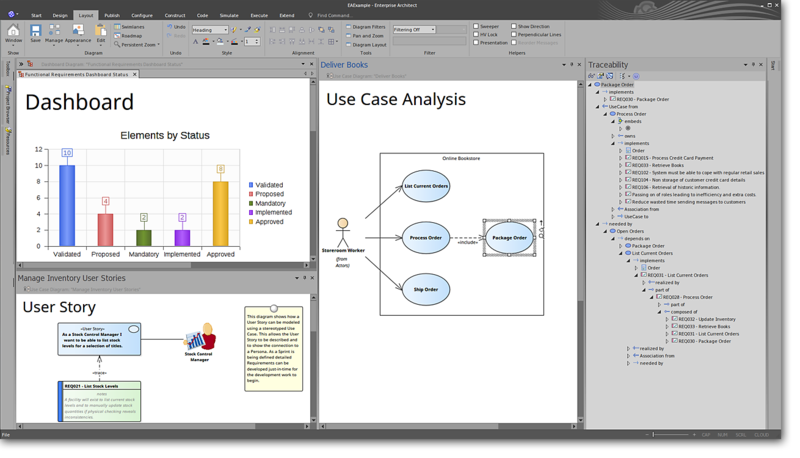 Featuring a high-performance model repository, Enterprise Architect easily accommodates large teams sharing the same view of the enterprise. Guards determine which path will be taken next based on criteria such as when a valid password is entered. Take control of your simulations by using Effects to manipulate variables and perform calculations at specific times during a simulation. Experiment with different choices and make changes to your simulation in a risk averse environment. By controlling the speed of a simulation, you can slow a system down to observe previously unseen steps. 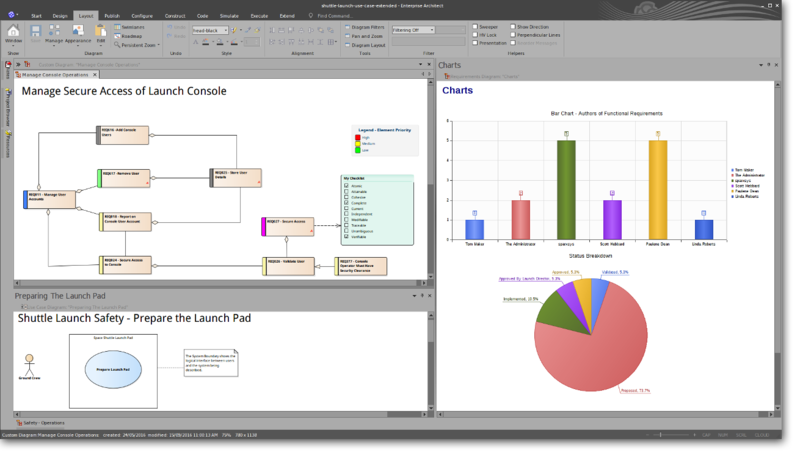 Use breakpoints to analyze decision making and improve business outcomes. 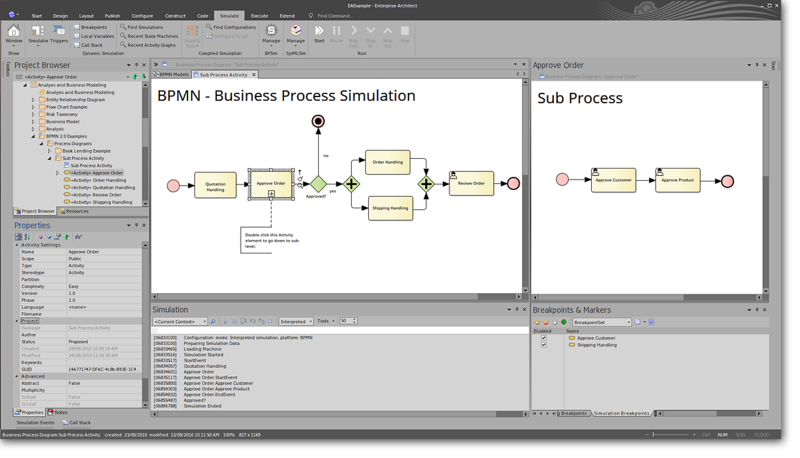 Simulation can help to improve communication, convey essential business ideas and reduce complexity. Enterprise Architect provides complete traceability from requirements, analysis and design models, through to implementation and deployment. Effective verification, validation and immediate impact analysis are possible across the entire life cycle, using such capabilities as Enterprise Architect’s Relationship Matrix and Hierarchy View. Combined with built-in task and resource allocation, Project managers and QA teams are equipped with the right information to help deliver projects successfully. 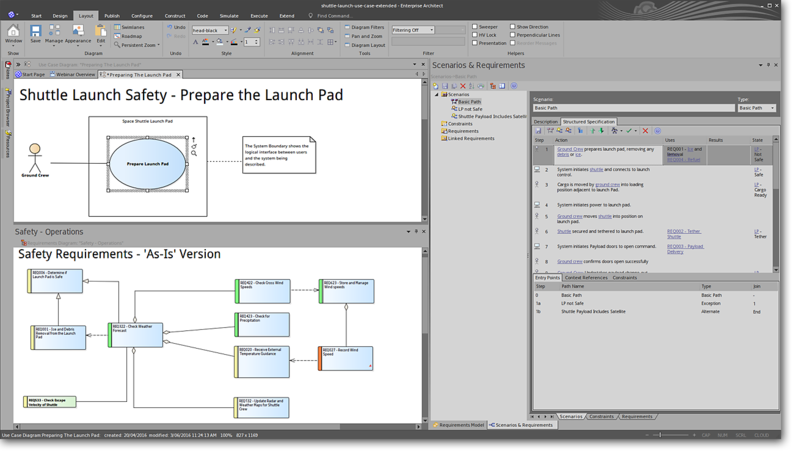 Enterprise Architect provides powerful document generation and reporting tools with a full WYSIWYG template editor. 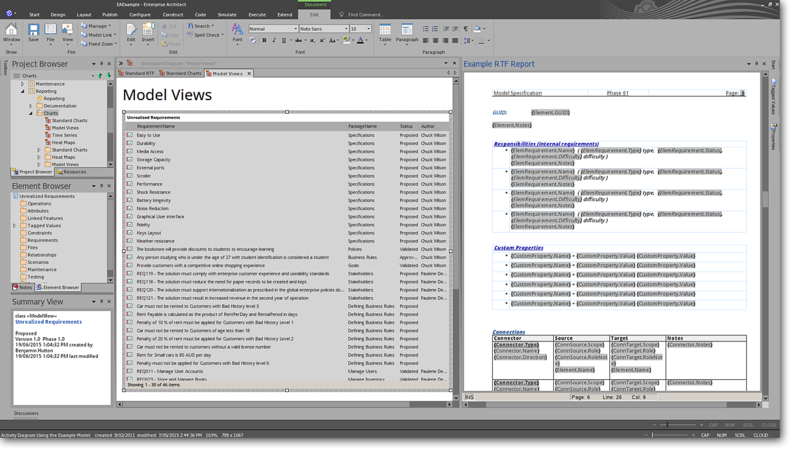 Generate detailed reports with the information you need in the format your company or client demands! At the click of a button automatically produce HTML versions of your model for easy distribution over the Internet or your organization’s intranet. The built-in source code editor lets you quickly navigate from model directly to source code in the same environment. Code generation templates let you customize generated source code according to your company specifications.